Posted Thursday, December 24, 2015 by Anonymous I love the LS 3/6 speakers. They're timbre accurate and very detailed. Smooth integration between the drivers sounds seamless. I got a big sound improvement by upgrading to high mass 16 inch Sound Anchor stands. Posted Tuesday, August 4, 2015 by Double Trouble I've owned the 2CE's and bought a pair of the 1Ci's for a smaller room. It's takes about 200 hours of break-in time to get these things to sing. I've got them hooked up to a pair of older B&K M200 mono blocks & a Rogue tube pre-amp. 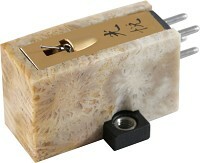 They have a more balanced sound than the 2CE's - which have a over-dominate bass on certain recordings. Unless you can sit 8-10 feet away in a larger room these 1Ci's hooked up to top quality equipment are the best speaker deal on the market - period. They're open/airy/transparent with very surprising bass response. Very low listener fatigue so you can enjoy them for hours. Posted Sunday, April 6, 2014 by David I added the Herron M1A mono amps as the last of an all Herron System. The VTPH-2 phono stage and VTSP-3Ar02 pre amp have received a lot of press but little has been written about the M1A power amp. I would say that the M1A is the most impressive of the Herron gear. It might be that the amp added to the synergy of an all Herron system. When the M1A's were added it really created a wonderfully musical system. I use them to drive Verity Audio Parsifals and it handles them very well. I have demo'd other amps, some as high as $19,000 and have come back to the Herrons. I did upgrade the feet to the Stillpoints Ultra mini's which I would recommend. Also, Audience Powerchord SE was a nice improvement over the stock cord. I strongly recommend Herron and the Amps are a perfect match for the rest of the gear. Posted Thursday, April 18, 2013 by TJN First of all it`s always a pleasure and joy unpacking a Symposium product, this is high quality products! Some weeks ago I recived this platform as an ampstand version, this include the Terminator cone feets with tellurium copper reversible spikes. I have a 140 lbs. amp on it and have testet different options regarding placement; spikes in couplers on a thin carpet, spikes through the thin carpet and into the concrete floor, couplers or rollerblocks between amp and the platform. The best result by far is the spikes into the concrete floor and the rolleblocks between amp and platform. The sound improvement is very clear; the first you hear is the improvement of the soundstage, it`s clearly bigger and deeper, the 3D is superb!, the background is darker. Bass is deep and thight, check out the bass on those AP Prestige records! You won`t belive it! A wonderful and airy treble and the midrange is now as natural as you want it. Highly recomended! 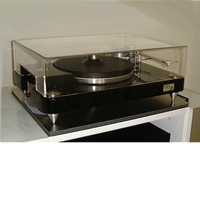 Posted Sunday, February 24, 2013 by Edward E L Horn Most people that buy from Acoustic Sounds (I think) are vinyl fans. I fall into that category. 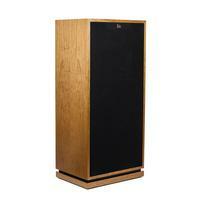 I have a beautiful Music Hall mmf 5.1se. I thought digital was just plain awful....until I got and broke in this device. I hooked up my Apple AirPort Express to the optical input because my computer, which is chock full of imported CDs (lossless, of course), is in a different room. They sound quite good through this "gadget" and my Vandersteen speakers. But where this device REALLY seems to shine is when I listen to the actual CDs through the coax input. I'm listening to some Rachmaninov and the piano sounds just like the Steinway it was played on. Amazing! So, while I still love my record collection, I now appreciate my digital collection a lot more than I used to. 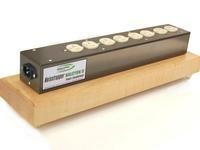 Once again Acoustic Sounds picked a winning piece of equipment to sell. Thank you! One more thing. While this device is made of plastic, it is for a reason. Don't let that affect your decision. Posted Tuesday, January 22, 2013 by JOHN DANIELS The Stirling L3/5A's are a remarkable achievement and will satisfy most discerning listeners. 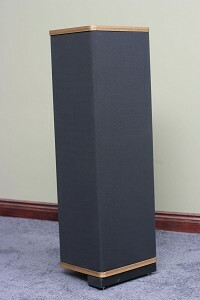 The AB2 bass extenders transform the L3/5A's into something even more astonishing. 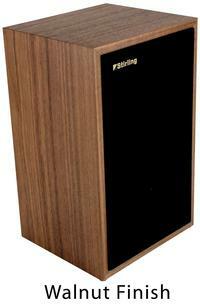 Of course, they are not the best speakers in the world but they do produce a full range sound that leaves very little else to be desired. It would be very easy to spend much more and do much worse. 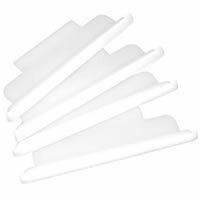 I use them in one of my systems whose total cost is around 8000 dollars. The resolution in that system is not too vastly different from my reference system which costs 20 times as much. There are obvious differences but... If you own a pair of L3/5A's, don't hesitate, the AB2's will improve soundstage, detail, tonal weight and imaging. There is an increased sense of musical authority and rightness. 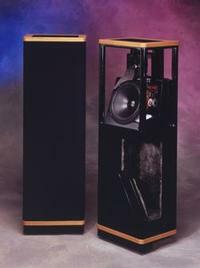 None of the nimbleness of the L3/5A's is lost and the speaker combination is easy to drive. It is one of those night and day things, the improvement is patently obvious. Posted Thursday, April 19, 2012 by Clive I purchased this item from Acustic Sounds after checking the manufactures website and reading customer reviews. Given the price tag and no UK dealers I was a little sceptical. However, after reading the instructions and placing the unit under my Meridian 800 unit I sat back and waited. The results were stunning and as described. The bass extension via the Meridian 8K's was about an octave more. The bass was very clear, even during complex passages. The treble was natural and the sound stage was more precise but musical. Importantly no colouration of the music from the unit was noticed. Even with high end equipment this product resulted in obvious desirable improvements that added to the musical enjoyment. 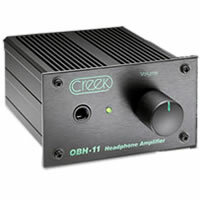 A good investment for those who want to enjoy their music as close as possible to the real thing. Posted Saturday, February 11, 2012 by dub whitt I have been listening to equipment and speakers, music that is , since the 50s. I have owned original marantz tube equip., mcintosh tube/ss, linn, cary, pass, ads,totem, vandersteen, b&w, to name a few and that is just a few. I have spent a fortune on equipment and music in the last 50 years, just sold my record collection of over 6000 lps, radio dj for many a year....so enough of the background. I have owned vandersteen 2ce sig. with their Q sub which is set up for music and found it to be from top to bottom the most satisfying purchase in loudspeakers to date. Having the sub just added so much life to the midrange, percussion and strings, upper octaves that i really enjoyed it. You don't have to have the sub....the speaker itself is from top to bottom the most satisfying speaker i have listen too for the money. Most wives don't like it because it looks like and speaker with just the wrap, but it doesn't jump out with overwhelming presence., power is necessary. Posted Tuesday, December 6, 2011 by Yogi Boo Bear having upgraded from a concerto to a Strad v1 and then a v2 (both due to third party TT cleaning negligence) , be clear this is not just a slight upgrade. on my system the upgrade is SIGNIFICANT. it is very hard to quantify, and i cannot but it I would probably pay at least 50% more for the v2 over the v1. So please try it out. 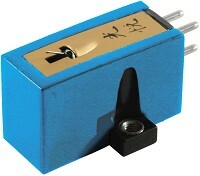 Posted Tuesday, September 20, 2011 by Anonymous It is simply stunning what this cartridge does. 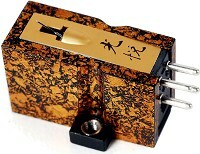 Recordings have a luster that I have never heard with any other phono cartridge. 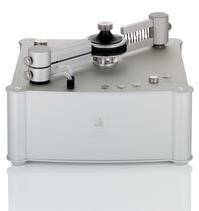 It goes beyond he typical hi-fi characteristics that people rave about (imaging, inner detail, etc.). Difficult to describe in words. Posted Thursday, July 29, 2010 by Scott This little unit really delivers a clean, open, and detailed sound to my AKG K-701s. You can't beat it for the price. Posted Sunday, January 24, 2010 by Arturo Castaneda I'm a technosaurus, I have sticking to Shure V-15 cartrigdges for many, many years. 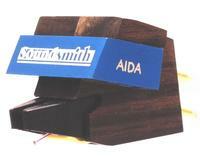 The Aida replaced a V15xMR, one of the last produced, which is still in perfect condition. However, it was time to move over and get a new one. 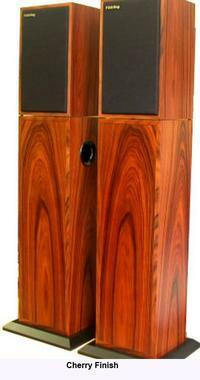 I was considering a Sumiko Blackbird before I read the raving review about the Soundsmith MMC1 in Stereophile. The Aida is a hand picked MMC1 and encased in ebony for better sound. Well, everything I read about it is true! 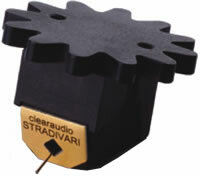 The sound and clarity of this cartridge is astonishing and best of all: no MC pre-amp. I've been listening to some of my favorite albums ranging from Rock to Classical and I can't believe the detail and cleanliness of the sound. CCR's Cosmo's Factory comes alive, Santana Abraxas is a new experience, Peggy Lee was singing Black Coffee in the room, The Vienna Philharmonic came to play at my home and then The London Philharmonic! Awsome! BUY ONE, I doubt you can do better, you will love it! Posted Sunday, December 13, 2009 by Anonymous I recently purchased one of these very special cartridges and I finally found time to install it on Saturday afternoon. I have a New Zealand built Aura turntable that I have modified with an Origin Live motor and speed controller and Graham Phantom II tonearm. To say that I was impressed is an understatement. This cartridge makes beautiful music. I hate the electronic glare that can often manifest itself around voices in the mix and make them sound electronic, as if at times someone is attempting to spit on you from the speakers. The Koetsu doesn't do this. The voices are natural and wonderful. The soundstaging is great and the bass and treble are fantastic. Other cartridges may do specific things better but this Koetsu just makes you want to listen to more music. Posted Tuesday, November 3, 2009 by Anonymous This is a truly excellent cartridge. For Koetsu lovers, it sounds quite different to the cheaper cartridges in the Koetsu line-up which use samarium-cobalt magnets. This one uses an alnico magnet and it tracks a lot better and is a lot warmer and softer sounding; you might have to play around a bit to get the highs to open up. Warm, lush, powerful sounding, this cartridge makes magic music. I find myself listening to the music more than analysing it, though it reveals all the detail you could want. One of the best. Use only if advanced options are used. Posted Thursday, March 20, 2008 by Julian The microfibre brushes are effective for manual cleaning of LPs with a suitable cleaning fluid such as water and alcohol, but I have been using it also with a record cleaning machine to complement the one on the machine. Best results are achieved if liquid can be vacuumed off with a record cleaning machine.